As a young man, Abraham Lincoln took a boatload of merchandise down the Mississippi River from New Salem to New Orleans. At one point the boat slid onto a dam and was set free only after heroic efforts. In later years, while traveling on the Great Lakes, Lincoln’s ship ran a foul of a sandbar. These two similar experiences led him to conceive his invention. Abraham Lincoln received Patent #6,469 for "A Device for Buoying Vessels Over Shoals" on May 22, 1849. By the mid-1850s, Lincoln faced competing transportation interests — both the river barges and the railroads. 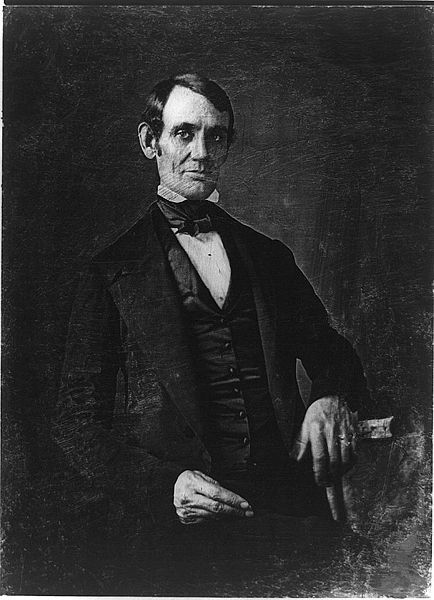 Originally, Lincoln had favored riverboat interests. In 1849, he had received a patent for a "device to buoy vessels over shoals." 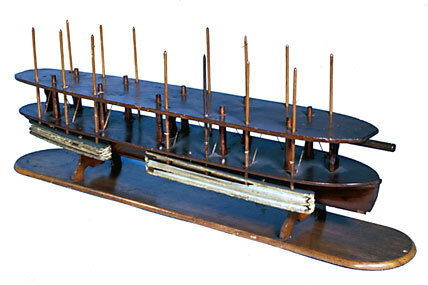 Lincoln's goal had been to lessen the draft of a river craft by pushing horizontal floats into the water alongside the hull. The floats would have served as temporary ballast tanks. The concept was never commercialized. Lincoln was the only President of the United States to hold a patent.